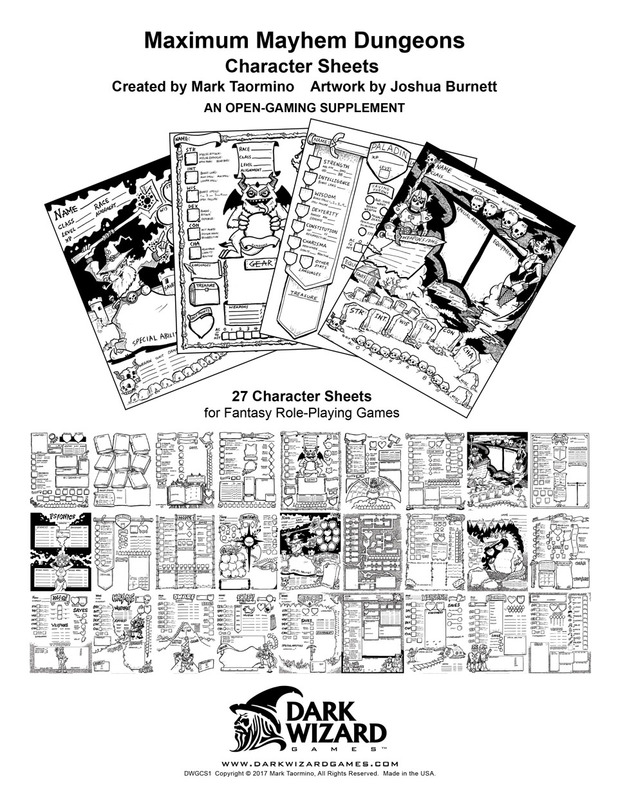 This supplement contains 27 Original Character Sheets. Creating new characters and tracking their details has never been more fun with these full-paged character sheets They are designed for you to print, fill out and enjoy. Share with your group today. Download SIX PACK OF FREE SAMPLE CHARACTER SHEETS HERE! You can buy the full 27 pack below! © 2019 Dark Wizard Games, All Rights Reserved.